The documents indicate that Palestinian negotiators were willing to allow most Jewish settlements/neighborhoods in East Jerusalem, including the Jewish Quarter in the Old City, to remain under Israeli control in a future peace deal that would divide Jerusalem between Israel and Palestine. In 2000, President Clinton suggested a formula for a resolution in Jerusalem, proposing that what is Jewish would remain under Israeli control and what is Arab would become part of the State of Palestine. “The land of these Jewish communities in East Jerusalem that would be incorporated into Israel, Clinton suggested, would be swapped in a 1:1 ratio with land inside Israel proper,” Kaufman says. “This matrix for a territorial compromise in Jerusalem is clear to all people who are interested in a two state solution for this conflict, and these documents confirm that Palestinian leadership is also aware of this matrix and is willing to follow it. 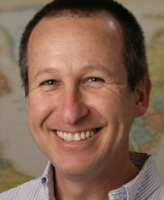 A member of the Notre Dame faculty since 2005, Kaufman previously taught at Hebrew University in Jerusalem and served as a research fellow at the Harry S. Truman Research Institute for the Advancement of Peace, leading its Middle East Unit.